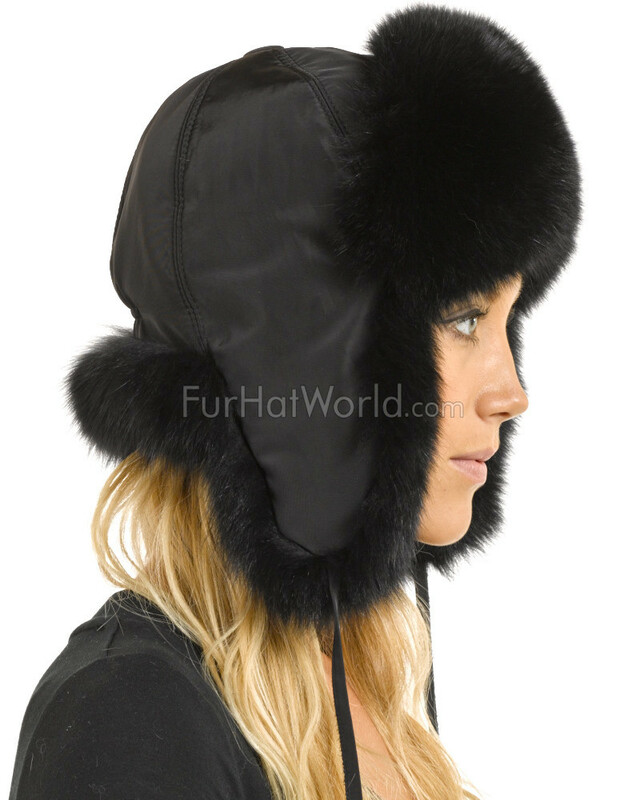 Womens Fox Fur Trapper Hat with Pom Poms - Black. 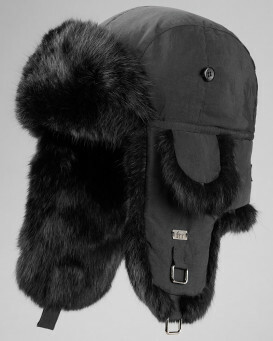 Stand above the crowd with this stylish trapper hat. Genuine ranch raised fox with premium quality water resistant nylon shell. 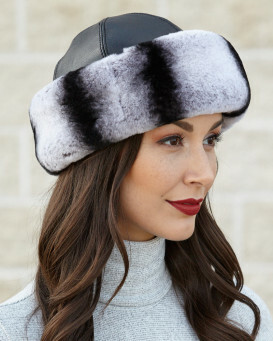 The fox fur pom poms and contrasting exotic fur trim make this hat a fashion knockout. "Feels warm but I haven't worn it yet. 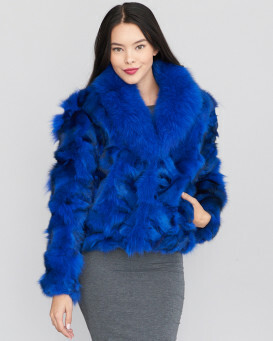 Love it, it's beautiful, fur is very fluffy and luxurious! Fits well. Looks cute on me. It was delivered quick. I love that you can wear the flaps up or down. All Good!! 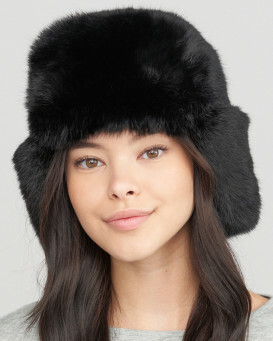 :)"
"Attractive hat...not heavy but is warm. FHW is a great company....love their products!" "I love my hat. I have been looking for this product for months, till I found this site. Thanks so much!" "Speedy service, looks great, blocks the wind. I think it will be great for those really cold days." 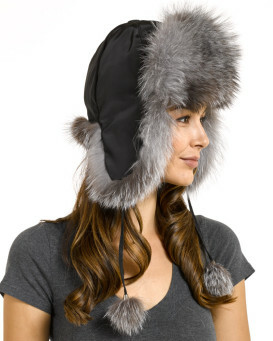 "Love this hat! Warm and adorable! Fits great!" "Love that hat! Very warm and stylish"
"love the hat. great buy." 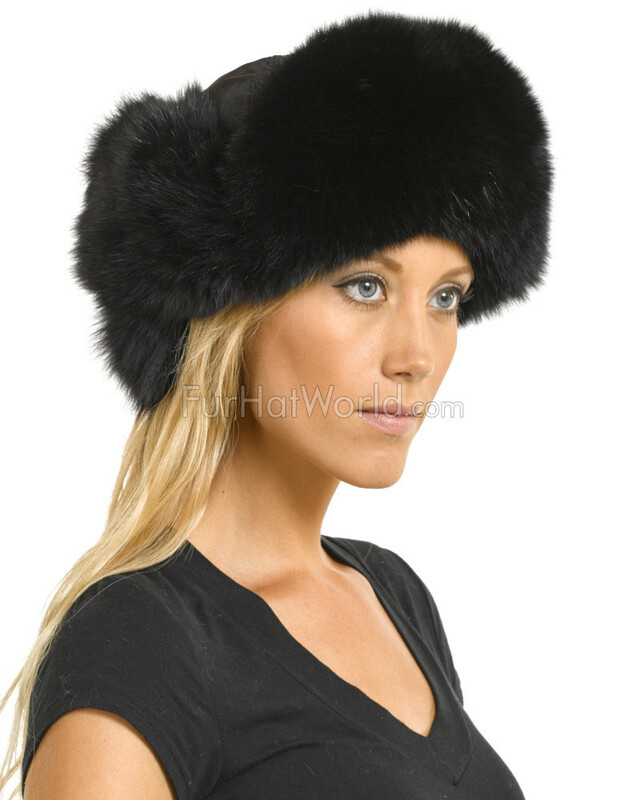 "Absolutely love my fur hat. Keeps me so warm."